Our career fairs are a great way to interact with Harvey Mudd students. Based on our annual senior surveys, the largest percentage of students find employment through the career fairs.  Harvey Mudd College is a member of the Claremont University Consortium, which has an approximate total of 6,000 students. Students from these campuses are invited to attend HMC Fairs. In response to student feedback, we separated our two fall fairs into a Software Engineering Job & Internship Fair and a General STEM Job & Internship Fair. If you are an organization that hires software engineers as well as other disciplines such as mechanical, electrical and chemical, we encourage you to register for the general STEM Fair. If applicable, you may register for both fairs; please note that registration and fees are separate, though combo discounts are offered. There is one combined general Job & Internship every spring. If you want to set up events or interviews the week of the fair, please review the recruitment page for more information. Registration for the STEM Job & Internship fair is now open. You will need an account in Handshake to register. Please contact career_services@hmc.edu for questions regarding the fairs. Official Fair Hours: 11 a.m. to 2 p.m. Employer check-in begins at 10 a.m. The Linde Activities Center has been set up for wireless access. If desired, please plan on bringing enough promotional materials for 400+ students. If your organization uses a third-party shipping company, please ensure that your materials are clearly marked with your company name. Please schedule your packages to be delivered no later than 2 business days prior to the date of the fair you are attending. Your materials will be placed at your table the morning of the event. To return ship materials, bring a Federal Express or UPS prepaid label, completed with your organization information. Leave on top of the materials at your table to be shipped out. Expect some delay in return shipments. if you require shipment out by a certain date, please contact the Office of Career Services at career_services@hmc.edu to make arrangements. There is a designated loading/unloading zone on the east side of the Linde Activities Center Gymnasium. Please park along Foothill Boulevard; there is no charge. If parking along the north side of Foothill, please use the designated crosswalk at Foothill and Mills Avenue to cross to Harvey Mudd College. Any accessible parking spaces on campus may be used by those with appropriate permits. See the interactive campus map for more information on the College and directions to any of the buildings. The Visit Campus page has more information about local airports, traveling to campus, accommodations/dining in Claremont. 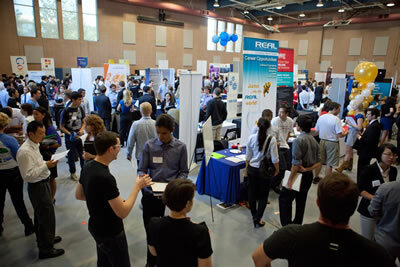 The organizations attending the career fairs are marketed to students across all seven Claremont College campuses on our career management system ClaremontConnect, via posters, flyers, digital signs, and student emails. Any cancellations must be made in writing (may send via email) to Elizabeth Saelzler (esaelzler@hmc.edu) no later than seven business days prior to the fair you are attending. A refund will be issued, less a processing fee. Career Fair “no-shows” are not entitled to registration refunds. Registration will not be eligible for roll over to another event. Your online platform to make your HMC recruiting efforts easier, faster and more effective.